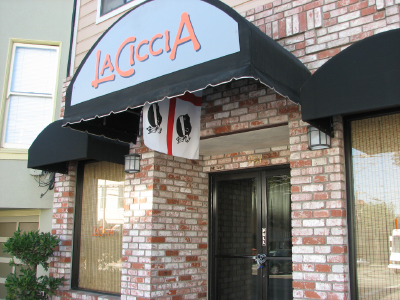 Late last year I got a chance to eat at La Ciccia restaurant in Noe Valley. La Ciccia is the only restaurant I know of that specializes in the food of Sardinia. I like to think I know a bit about Italian food, having lived and studied in Italy but when it comes to the cuisine of Sardinia, up to now, I've been tremendously ignorant. Having eaten at La Ciccia a couple of times now, I have only begun to get familiar with Sardinian cuisine. It has many of the same elements you find in other Italian food but the ingredients are different. There is the saltiness of bottarga, a dried salted roe, the al dente chew of pasta but in the form of "fregola" large pearl shaped pasta, a distinctive crisp bread called carta musica--sheet music, and the slightly bitter almost indescribable flavor of saffron. What else can I tell you? Sardinia has a wonderful range of wines that you are probably unfamiliar with but they are well worth exploring. And La Ciccia is a great place to explore them. 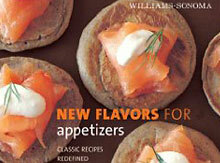 Familiar ingredients include olives and tomatoes, olive oil and fresh herbs, but the character of the cuisine is less refined and more exotic with touches of Arab and Middle Eastern flavors including raisins, honey, walnuts, saba and mint. Not surprisingly because Sardinia is an island, there is also plenty of fish and shellfish. I love discovering another branch of Italian food. And at La Ciccia I enjoyed the same kind of friendliness and hospitality I remember from my happiest meals in Italy.